Woohoo!! 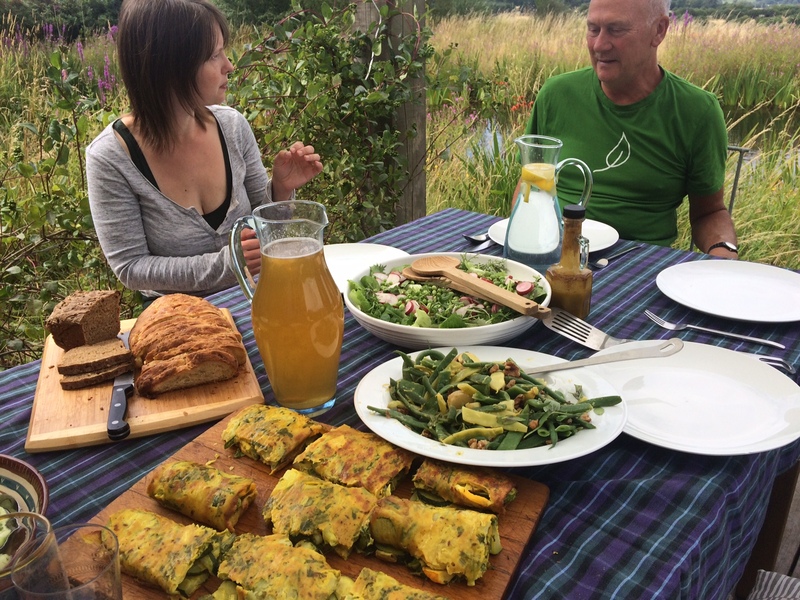 Another great and easy way to use up that glut of courgettes….Courgette and chick pea oven baked roll ups are lovely with some salads for a light lunch. 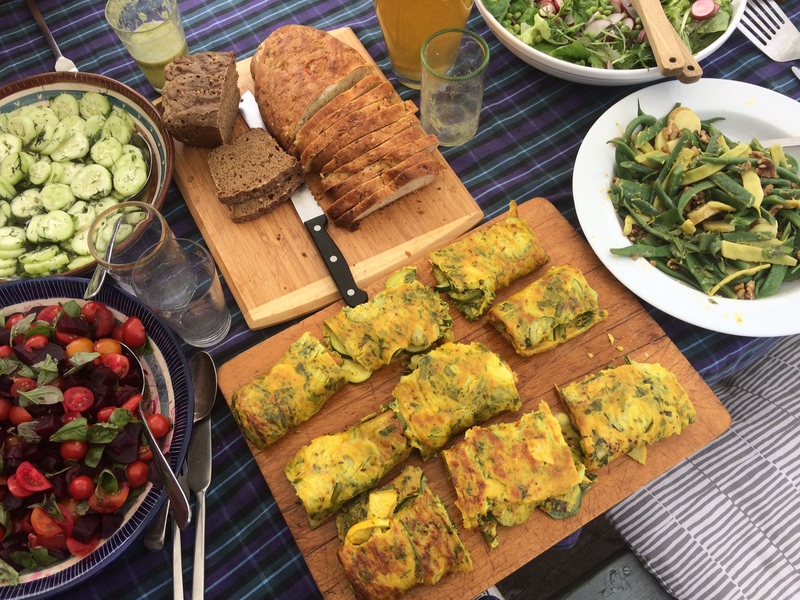 We made this recipe with spinach last year and gave it a try with courgettes and it really is delicious. We hope you like it too! 2. Whisk together the chick pea flour, coconut milk and eggs with the cumin and turmeric, some salt and plenty of black pepper. Add in the sliced courgettes and spring onions and chopped coriander or parsley. 3. Line a couple of Swiss roll tins or one large oven tray with baking parchment, pour in 2 tablespoons of oil per tray or 4 if you’re using one large tray. Pop the trays into the oven to heat up for a few minutes until the oil is hot, then remove and quickly pour in the courgette mix spreading it out to cover the base – it should sizzle a bit at first! Return to the oven and bake for 10 – 15 minutes until turning golden and crispy at the edges. 4.Slice into strips and roll up to serve.